LOS ANGELES - U.S. government geologists now recognize much of Oklahoma as earthquake country, accounting for the bulk of 17 regions newly designated for seismic hazards attributed to underground disposal of wastewater from fossil fuel production. The 17 regions are delineated in the first official map by the U.S. Geological Survey documenting areas of elevated and increasing earthquake frequency found to be induced by human activity, namely deep-well injection of oil and gas wastewater. The areas are spread across the Central and Eastern United States, from Colorado to Ohio. Oklahoma, long synonymous with the storm-prone area of the country known as “tornado alley,” now lies at the heart of a new manmade potential disaster zone, comprising by far the greatest amount of quake activity linked to wastewater injection. The new quake map was part of a USGS study modeling human-caused seismic hazards released on Thursday in conjunction with a meeting of the Seismological Society of America in Pasadena, California. It came a day after Oklahoma geologists issued their own report documenting strong links between rising seismic activity and wastewater injection. The USGS reported similar findings last year for Colorado and New Mexico. Other states with newly designated human-caused seismic zones include Texas, Kansas, Arkansas and Alabama. “Induced seismicity” has been most pronounced since 2009, the USGS said, coinciding with a surge in energy development associated with a drilling method called hydraulic fracturing, which forces water and chemicals into underground shale formations to extract oil and gas. The technique, also known as “fracking,” generates large volumes of wastewater that get reinjected into disposal wells. But scientists said fracking itself is only occasionally the direct cause of quakes felt at the surface. 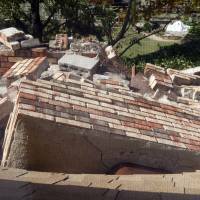 Oklahoma, the state hardest hit by the new phenomenon, is tallying one or two quakes of a magnitude 3.0 or greater daily, compared with one or two such tremors annually before 2008, said seismologist Mark Petersen, co-author of the USGS study. USGS hazard maps are used by engineers, zoning officials and others in reviewing building codes, retrofits, insurance rates and emergency planning. 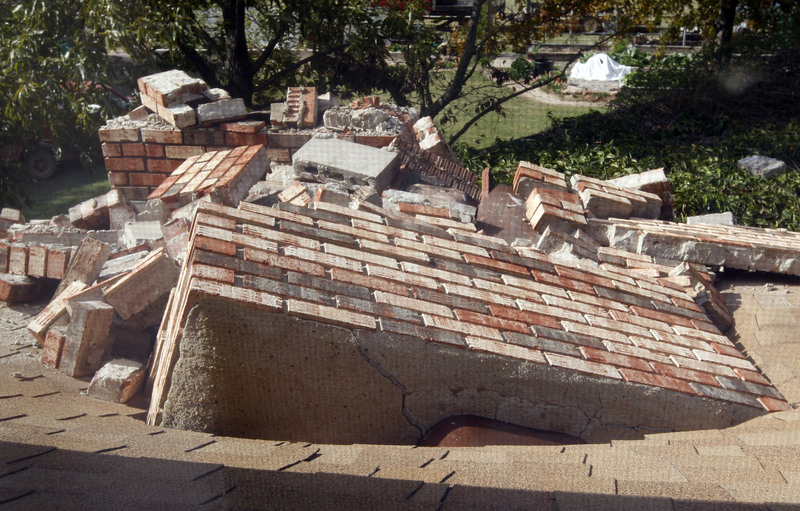 While rare, damaging magnitude 5.0-plus quakes linked with energy production occurred twice in 2011, in Oklahoma and Colorado, Petersen said. The major temblors that struck San Francisco in 1989 and Los Angeles in 1994 measured 6.9 and 6.7, respectively.